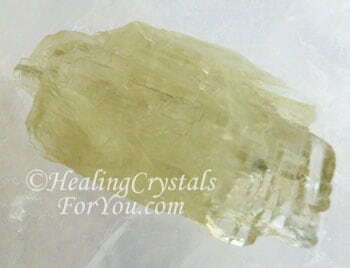 Hiddenite has a strong loving vibration that helps you to bring spontaneity, joy, love and gratitude into your life. Through this you develop genuine loving relationships. It has excellent metaphysical properties that help you to lift your mood and assist you to heal emotional problems, such as anxiety and stress. If you do not love and value yourself, this crystal may elevate the level of your appreciation of your own personal importance in the greater scheme of things, particularly to the Creator. This beautiful green crystal is named after William Hidden an American mineralogist. The town that is located in the area where it was first found, Hiddenite North Carolina USA, was also named for William Hidden. The mines in Hiddenite NC not only produce this stone, but are also well known for producing many other varieties of beautiful gems including Hiddenite Emeralds. It is possible to go and see these mines, and participate, as you immerse yourself in the process of extracting crystals from the ground. 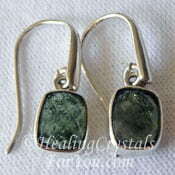 This lovely green stone is the green or yellow green variety of Spodumene. 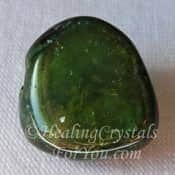 This crystal comes in various shades of green, including a deep green, lime green and a pale green that is almost yellow. 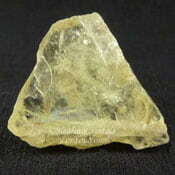 Deposits of this crystal have also been found in Brazil, Madagascar and Burma. 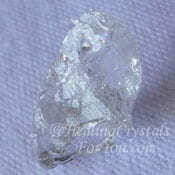 It is closely related to Pink Kunzite, and may be sold as Yellow Kunzite or Yellow Green Kunzite. 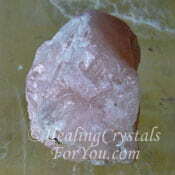 Both the yellow and pink varieties of Kunzite are crystals that bring through a strong energy of love. In the case of Hiddenite Crystals this type of love is firstly of joy and spontaneity, and secondly of compassion and forgiveness, and gratitude. Genuine gratitude has a strong healing energy, and may be engendered as you feel true appreciation for what the Divine gives to you every day. The combination of love and gratitude is extremely powerful. Masaru Emoto in his research on water found how these two feelings combined generated extraordinarily beautiful water crystals. 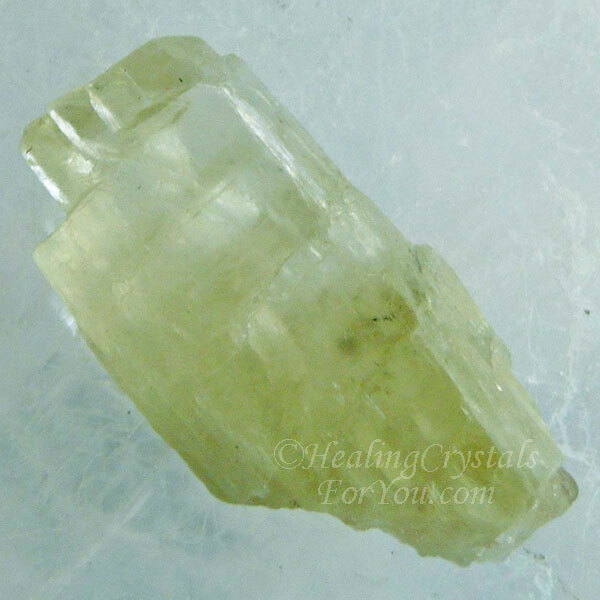 The lighter green and yellowish pieces of Hiddenite crystal resonate within the solar plexus or power chakra as well as the heart chakra. They have the ability to help you to bring all sorts of good things into your life. This involves you being able to manifest abundance and prosperity, and may include manifesting money. Depending on your reason for choosing this stone, the yellow and yellow-green stones have an energy with a powerful ability to manifest. For any of these uses, keep a piece of this stone on you during the day. 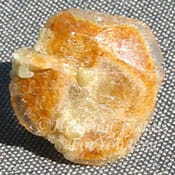 You can either keep a crystal in your pocket or wear jewelry made from this stone. As this beautiful yellow stone contains lithium in it, this is well known to enable it to assists you to feel more peaceful. 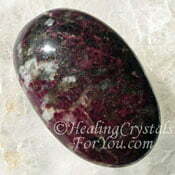 It is a very emancipating stone, as it teaches you to love yourself, and to be grateful for all that you are. This flows through into all of your relationships, as you restore your capacity to love with your entire being. It is calming to the emotions, and using it may be one of the helpful ways to relieve your stress. Why Would You Use Hiddenite? 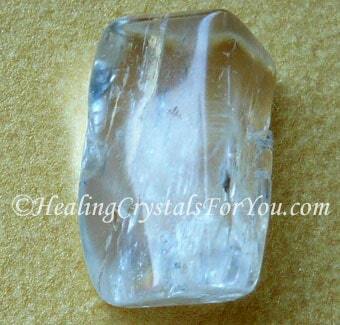 Hiddenite is an extremely strong heart chakra stone. 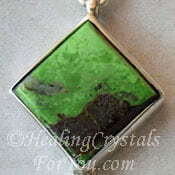 It may be in various green shades, from light green through to the darker green crystals. 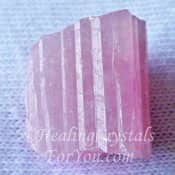 Pink Kunzite, the pink variety of Spodumene is known as its sister stone, as it has a similar structure, but is pink in color. Its energy stimulates love, compassion and forgiveness within your life. 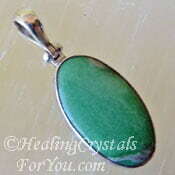 This quite strong vibration makes it a very powerful thymus or higher heart chakra stone. 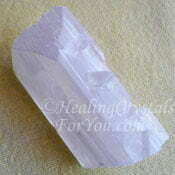 Hiddenite will help to improve your personal relationships. It brings back the type of genuine acceptance that most of you felt at the beginning, when you first got together. It helps you to stop manipulating your partner, and to experience genuine acceptance of their place in your life. 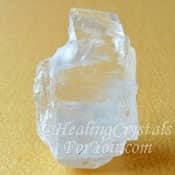 This crystal is also an excellent stone for manifestation of abundance and prosperity. It also has the ability to assist you to be better able to convey the energy of joy, happiness and spontaneity, to the other person. Hiddenite gems are made into beautiful jewelry, and the yellow stones may be sold as yellow Kunzite. You may prefer to wear these crystals, or if you wish you may keep a stone in your pocket. As it is a Scorpio birthstone, they should be able to be found made into jewelry, although these stones are not as easy as other stones to cut. What a lovely gift this gives, to both yourself and everyone in your own little part of the world. 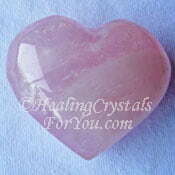 Both the pale pink Kunzite and the yellow-green Hiddenite stone are on the zodiac birthstones list. 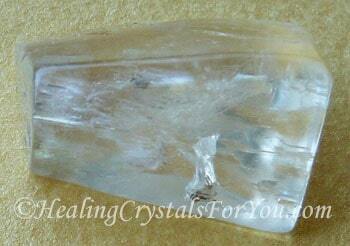 Using this crystal helps you to feel the immense love of the Divine. Once these feelings begin to resonate within you, your sincere gratitude will flow out into your life and into the world. It is easy to buy, and the energy will resonate out into your aura, if you keep it close to you. 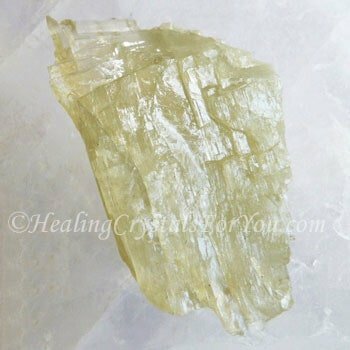 To aid you with your overall growth, this crystal may be used in combination with other heart chakra or solar plexus chakra stones. These may be easily found as both jewelry and tumblestones. 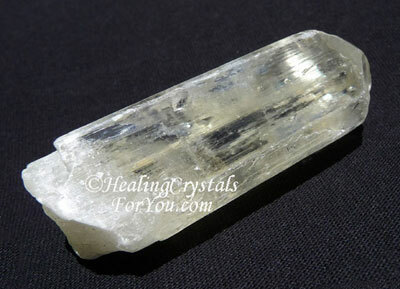 The best way to use Hiddenite is in meditation, by holding a piece of this lovely green stone in your hand. This has the potential to allow you to bring the amazing feeling of Divine love into your life, and with it gratitude for the receiving of this love. To allow yourself to be happy is the greatest wisdom there is. 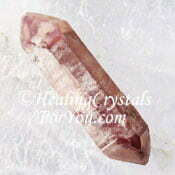 The crystal books shown below are quite in-depth crystal reference books. 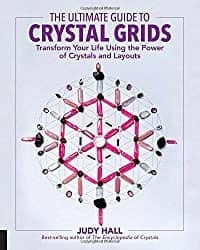 There are many authors of crystal books who have been in the crystal industry for many years, and many of the books they have written are useful to have on hand for reference purposes. Melody's Encyclopedia, Love Is In The Earth, is a very large book that covers more than most others. 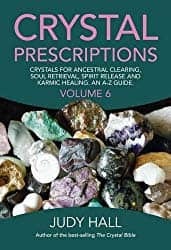 This book gives you a lot of information and some of the stones are quite uncommon, so it is very interesting reading. Read my reviews as there are a large number of other excellent books that are helpful reference books as well. 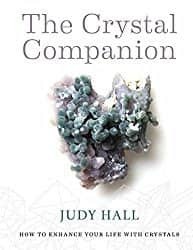 If you wish to read reviews of my favorite Crystal Books Click Here. 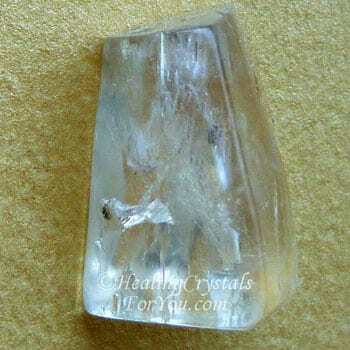 Danburite is one of the high crystal energy stones and it has a beautiful vibration. Use this stone with Danburite to enhance the energy that will encourage your heart to resonate with Divine Love, and so elevate the level of self love you feel. 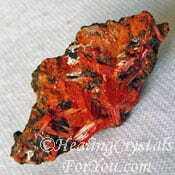 There are also other crystals in the group of high vibration stones, that are excellent to combine with it. Natrolite, Moldavite, Petalite, Herderite and Phenacite will all take you to the level where you more easily experience Divine love. 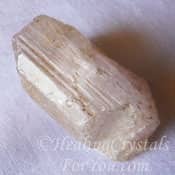 Used in combination with these crystals, it will allow your meditations to take you to a place where you have the potential to experience universal love. 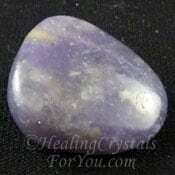 Lilac Lepidolite is an excellent stone to combine with this crystal, especially if you are feeling stressed. 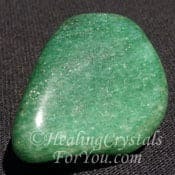 You may choose to combine this lovely green crystal with other heart chakra, thymus or higher heart chakra stones and high vibration crystals, to make a potent yet very harmonious blend of energies. To help with treating emotional problems, you can combine it with other stones that contain lithium. 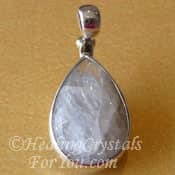 Stones such as Lilac Lepidolite, Amblygonite, Lithium Quartz or Pink Tourmaline combine well with Hiddenite. There are a number of other stones you may choose to pair with this crystal, including Eudialyte, Crocoite, Green Aventurine, Green Tourmaline, Gaspeite, Green Apophyllite, Variscite, Morganite, Rose Quartz and its sister stone, Pink Kunzite.